Here’s the problem. Most business owners wear multiple hats. They spend time sorting inventory, managing day to day accounting, and seeing to general shop upkeep. They simply don’t have time to invest hours into marketing efforts. They’re looking to work with true professionals who understand the power of SMS marketing, and what it can do for their business. So what do they do? They turn to top online marketing firms for a solution. 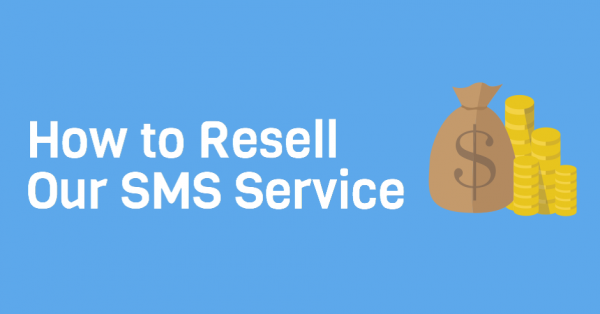 Resellers, marketing companies and affiliates marketers have an opportunity to increase monthly revenue by easily reselling our SMS marketing service. If you’re reselling our service, here’s some quick tips. 1. First, make sure you actually understand SMS marketing. Don’t attempt to sell something you haven’t actually mastered yourself. This is bad practice, and makes you look completely foolish. Take time to comb through our dense educational resources. The more you know about our platform, the easier it is to sell. 2. Next, target a niche group of potential leads. When it comes to SMS marketing, there’s tons of different industries that take advantage of this service. But, don’t be greedy. Instead of reaching out to restaurant owners, churches, and ecommerce retailers, pick just one subcategory. If you specialize in a single niche industry, you’re more likely to gather and retain long term clientele. 3. Finally, take time to walk each lead through a personalized consultation. At Slicktext, we offer all new customers a free one on one pro training session. We personally introduce each new account holder to this tried and true mobile communication tactic. If you’re a marketing firm looking to resell our service, give this tactic a try. Schedule consultations for all new signups, or at the very least, those extremely interested in using your service. If the reselling option seems a bit over your head, but you still want a residual income opportunity, give our affiliate program a try. Simply sign up, get your unique affiliate link, and start promoting. All Slick Text affiliates can earn up to 25% commission, just by simply recommending our SMS marketing options. If you’re an online marketer looking to make some extra cash, try reselling our awesome service. Looking for a bit of guidance? Give us a call at 1.800.688.6290.